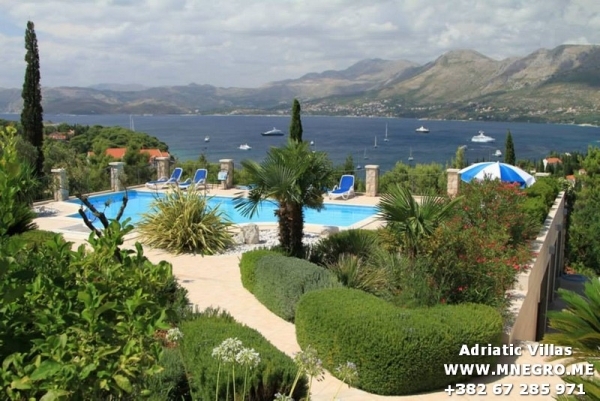 CRO122 Green Oasis sea view villa near Dubrovnik | MONTENEGRO Villas 2019 rental UNIQUE Vacation for You !!! 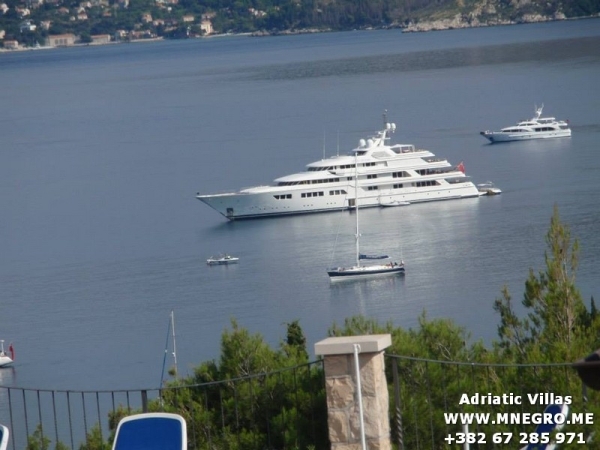 CRO122 Green Oasis sea view villa near Dubrovnik – MONTENEGRO Villas 2019 rental UNIQUE Vacation for You !!! 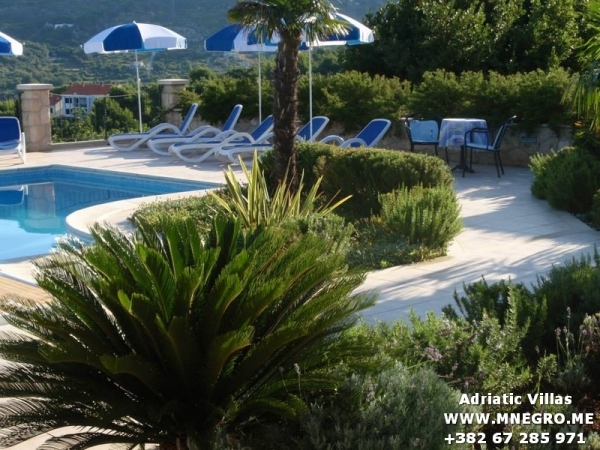 The central area of this villa is definitely large outside area with swimming pool, gazebo, barbecue / grill area and well cared garden with Mediterranean herbs. House is set up on 3 floors and it is divided on 4 apartments, each with separate entrance door. In total, there are 5 bedrooms, 6 bathrooms, 4 kitchens, and 3 living rooms. Ground floor studio apartment consists of fully equipped kitchen with dishes and utensils, dishwasher, stove, oven, refrigerator with freezer, kettle, microwave, and toaster. There is also small dining table with chairs, and charming living area with SAT TV and sofa that may be transformed into a bed for 2 persons. There is also bathroom with shower. First floor consists of 2 separate apartments. First apartment has one double bedroom, one bathroom with shower bath tub, hair dryer and toiletries; dining area with table and chairs, charming living room with sofa that may be an extra bed for one person equipped with SAT TV, and DVD&CD player; fully equipped kitchen with stove, oven, microwave oven, fridge, freezer, coffee maker, dishwasher, dishes, and all cooking and eating utensils. There is also beautiful sea view balcony with table and chairs. Second apartment consists of 2 double bedrooms, two bathrooms with shower tubs, hairdryers, and toiletries, fully equipped kitchen, dining area with table and chairs, living room with SAT TV, DVD&CD player and sofa bed that may be an extra bed for one person, and beautiful sea view balcony furnished with table and chairs. The top floor of the villa hides one more two bedroom apartment. Both bedrooms are double with corresponding two bathrooms with shower bath tubs, hairdryers, and toiletries. There is also fully equipped kitchen with stove, oven, microwave oven, fridge, freezer, coffee maker, dishwasher, dishes, and all cooking and eating utensils and dining area with table and chairs. Living area is equipped with SAT TV, DVD&CD player, and sofa bed that may be extra bed for 2 persons. Large swimming pool certainly dominates to the outdoor area here. 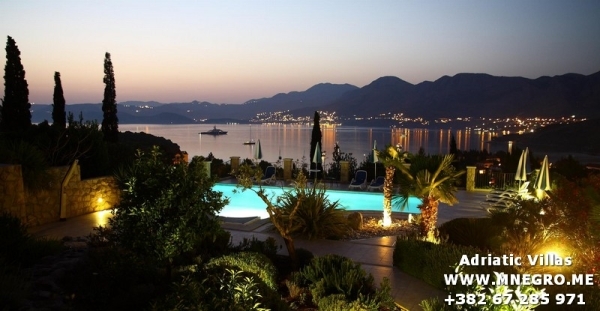 Sea view, Mediterranean plants around the pool, beautiful gardens, terrace furniture, sun beds and sun umbrellas, gazebo with sitting garniture and BBQ corner will certainly hold you here from the morning till the late evening together with your family or friends. This is children friendly environment with really clear and fresh air, crystal blue sea, and a lot to see and visit in the area around.